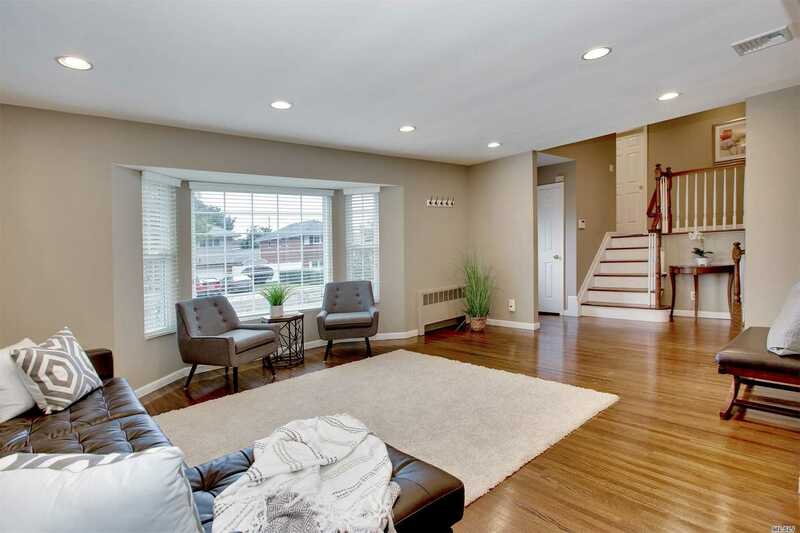 Syosset - Diamond, Updated 3 Bedroom, 2.5 Bath Split Level. House Shows Light And Bright. Eat In Kitchen With Granite Counters, Stainless Steel Appliances. Master Bedroom W/Walk In Closet And Full Bath. Custom Outfitted Closets. Family Room With Sliders To Professionally Landscaped Property And Cambridge Paver Patio. Hardwood Floors Throughout, Cac, Igs And 2 Car Garage. Move Right In. You New Home Awaits. Syosset Schools.